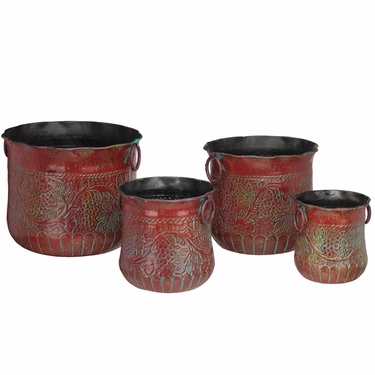 Give a touch of Regal elegance to your potted plants with our popular Red Grapes Metal Nesting Planters! These planters are created from a flat sheet of metal which is hand-turned on a lathe to give the shape. Each piece is then tooled by hand to create the textured patterns.